I just got back from an incredible weekend here in the woods in Tennessee, where I led my very first “Songs From The Well” Songwriters Retreat & Workshop. It won’t be my last. I’m already in the process of planning dates for Spring and Fall 2016. Stay tuned as I announce the dates, as these retreats are limited to only 14 writers. I’m slowing down this month, just a few shows, to rest for the holidays, move (only a few miles from my previous house) and nest, before Decembersongs goes out on tour for our 6th year starting 12/3 and heading to the Midwest & Southeast this year. So a few recommendations for this cooler month. And I’m obsessed with the HBO series The Nick. An intimate songwriting retreat at the Penuel Ridge Retreat Center in Ashland City, TN (30 minutes from Nashville, TN). We will spend an extraordinary weekend in conversation about finding our truest voices in our writing, singing and in performance, helping each other bring out our best selves on the page and through our voices, creating a collaborative and safe community to stretch our talents, maybe finding new ways of accessing our own ‘truths’. Along the way, you will learn some new tools, maybe meet a new co-writing friend, and perhaps write a song within the weekend. We will spend each morning on the craft of writing and each afternoon on the craft of performance. There will be ample opportunity to write, hike, meditate, retreat as well. Evening song shares, guest artist conversations (TBA). Price includes all meals, lodging Thursday – Saturday nights, airport shuttle, workshop fee’s. Amy Speace has taught songwriting and performance over the past 8 years at The Rocky Mountain Folks Festival Song School (Lyons, CO), Berklee College of Music (Boston, MA), The Swannanoa Gathering (Asheville, NC), Sisters Folk Festival Americana Song Academy (Sisters, OR), Kerrville Songwriter’s School (Kerrville, TX), Lamb’s Retreat For Songwriters (Michigan), Young Voices Inspire Songwriting Camp for Girls (Indianpolis, IN) and Crested Butte Center for The Arts (Crested Butte, CO). She is a graduate of Amherst College and studied acting at The National Shakespeare Conservatory in NYC. She toured with The National Shakespeare Company as an actress and educator. She was a company member of Expanded Arts, NYC and did many roles within and without NYC as an actor. She was the Artistic Director of Five Points Theater Company under the Henry Street Settlement/Abrons Arts Center in NYC, creating a theater outreach to the local public schools. 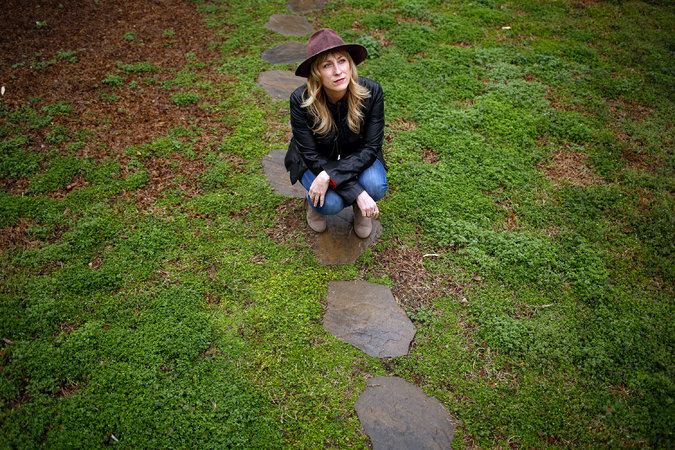 Besides her busy touring and recording schedule as a singer-songwriter, she also teaches privately in Nashville and via Skype. What’s The Buzz? Amy Speace – Vinyl Is Here! Happy June everyone. I’m home in Nashville for an extended period of time after having been on and off the road since March with the CD Release Tour. Thank you to every single one of you who came out to the shows. We had a blast from Nashville to Boston to London to Austin and many places in between. This summer, I have a few shows, a few festivals, and a few weeks of teaching songwriting and performing. Check the tour schedule to the left to see where you can find me. Big News: The Vinyl of “That Kind Of Girl” arrived and it’s now for sale on my WEBSITE STORE. All of my merch, including old design T Shirts, and some new things like Poster Art and Songbooks (in limited quantities) will be added over the coming week. The bonus of ordering straight from me is that everything is $5.00 shipping (Domestic US orders only for now- if you’re from out of the US, you can order vinyl via paypal for now. Email me about this). You can also order digital downloads directly from me, rather than going to ITunes. I’m going to be spending this summer writing. If you follow my blog or my blogette-postings on Facebook, you’ll know I’ve been writing stories and musings about life, the road, characters I meet. Well, this summer I hope to gather them all in between covers and create something longer than a 3.5 minute song. I’ll keep you posted. 1. Where do you live and where are you most likely to come see a show of mine? What club? What town? Where haven’t I played near you that you’d like to see me? 3. How did you find out about me? I’m serious. Send me an email. Not a long one but there are more than 4,000 of you and I’m really curious about where you all come from and how you got here and what makes you stay (or not). The music business isn’t what it was. Most artists are independent. Even ones on small labels. The major commercial music industry is about selling fast food. Those of us who are working in the margins have the luxury of a direct connection to our community. I have made my last 2 records with your help, your financial help. If I am to make another record, which I do hope to, I’ll have to ask again as there are no record deals anymore. I’d like to know who I’m asking. I’d like to know what you like. I’ve been pondering this kind of shift in my career, that we all start out wanting the brass ring and when we get within sniffing distance of it, we see that the brass ring is really still just a trick of light. And that’s when the really good stuff happens. I can’t do this without an audience. And you guys seem to stay with me and I really appreciate it. So, write me. Let me know. And maybe I’ll post some interesting results and responses in my July newsletter. What’s The Buzz? Amy Speace – March News and Tour! Tomorrow is March 3 and tomorrow is the release of the new CD That Kind Of Girl! I couldn’t be prouder of a project I’ve worked on. “Country Weekly” in the UK just gave it a 5 star review and wrote “With Her “That Kind of Girl” collection, Amy Speace has created her jaw-dropping masterpiece, her lyric writing is almost a master class in quality songwriting.” I’m floored and awed and supremely grateful to them, and to all of you who have shared this ride with me. The CD Release Tour doesn’t officially begin until April 1, kicking off with a full band show in Nashville at The Basement, but we’ve got some cool preview shows this month, including an official appearance at the SXSW Music Fest in Austin. Stay tuned to the website as press comes in and as we send out the videos! You’ll be able to buy the record at all online retailers and also at selected independent record stores. The vinyl version of the record will be available later in April. All will also be available on my website asap. So stay tuned! This summer has left me breathless. I finished the recording/mixing/mastering of the new record to be released in Spring 2015. It’ll be called “That Kind Of Girl.” We recorded in 3 days in East Nashville with Amy Speace at the production helm and playing drums. Will Kimbrough and Carl Broemel on guitars and pedal steel. Danny Mitchell on keys and horns. Eamon McLoughlon on strings. Dean Marold on upright bass. John Moreland, Garrison Starr, Ben Glover, Rod Picott, Doug & Telisha Williams and Tim Easton all came into sing. There’s still lots to do before the release but I am confident that this is the best record I’ve ever made. You can get involved as I’ll be launching a Kickstarter Campaign to raise funds for the promotion and tour and I’ll be announcing that launch date very very soon. I had the best summer I’ve had in so many years. Two amazing weeks teaching songwriting and performance at The Swannanoa Gathering in Asheville, NC and back for my 11th year at Rocky Mountain Folks Festival Song School in Colorado. And I took some time off touring to get prepared for the record, to write (not songs…perhaps a book…maybe you’ll be hearing about it…) and to have, well, a life. Learning balance. It’s an art all to itself. There’s so much around the last corner of 2014. Northeast dates, Nashville gigs, Holland with Cara Luft, West Coast with Kenny White in November, and the return of Decembersongs. So stay tuned and thanks so much for being a part of the journey. Also a special shout-out to my friends who board The Cayamo Cruise each year for supporting and voting for me for the Cayamo Soundcheck Stage. Announcement to come soon! This weekend I head to The Swannanoa Gathering to teach at The Contemporary Folk Week with Jim Lauderdale, Jon Vezner, Don Henry, Kathy Mattea. I’m so excited (and a bit nervous). Then the following week I’ll be heading to Colorado for a few dates with Mary Gauthier and to teach at the Rocky Mountain Folks Festival Song School for the 11th year. Wow. There’s some House Concert opportunities to the left I’d love to come play for you while I’m in your neighborhood. If you’ve got room for at least 25-30 people (more if possible) and want to partner with me to host a concert in your living room, let me know and I can walk you through how easy it is. In the meantime, stay cool and safe and take good care of each other out there.